All’inizio degli anni 60, Wong Shun Leung e la sua famiglia risiedevano in un appartamento al terzo piano di un palazzo dell’anteguerra al 466 di Nathan Road, Mongkok, HK. 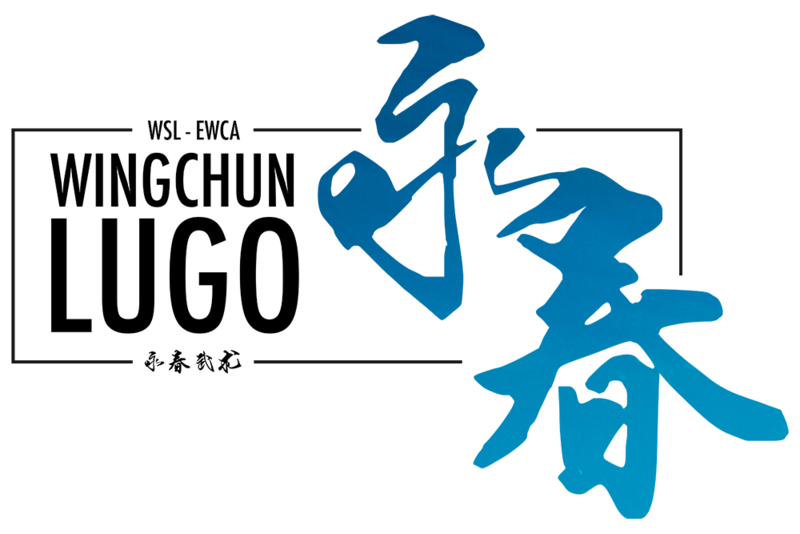 In quel periodo Wong Shun Leung, completamente assorbito dallo studio del Ving Tsun, cercava incessantemente partner con cui allenarsi, a volte scegliendo le persone a cui insegnare ving tsun e con cui allenarsi basandosi su corporatura e forza fisica, così da procurarsi la più grande varietà possibile. Siccome il suo primo obbiettivo non era insegnare e nemmeno vivere di insegnamento, Wong scelse i propri studenti molto seriamente e, come ricorda Wu Chun Nam, in quel periodo in molti varcarono la soglia di Wong Shun Leung e ne diventarono allievi (tra i tanti si ricordano Yeung Yi Choi, Lo Min, Chang Yip Kau, Lau Man Kwong, Cheung Chan Ching, Wan Kam Leung). 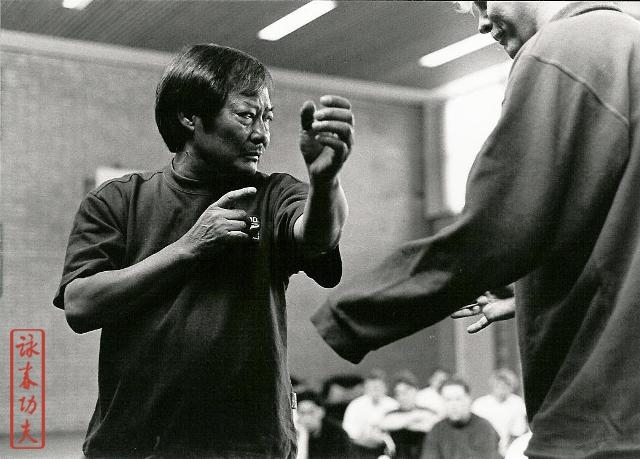 Anche se il rapporto tra Wong e queste persone era principalmente un rapporto insegnante-studente, Wong non diede mai loro il permesso di riferirsi a lui come “sifu” (“maestro”), preferendo “leung goh”, “(fratello) grande leung”, che era riferito alle loro età, tutte piuttosto simili. Spesso invitò ad allenarsi nella propria casa anche parecchi studenti di Ip Man, come (Henry) Pang Kam Fat, Wong Tsok, Chan Chi Man, (Andrew) Ma Hang Lam e altri, e anche per questo motivo riteneva inopportuno il termine “sifu”. At the beginning of the sixties, Wong Shun Leung and his family resided on the third floor of a pre-war apartment building at 466 Nathan Road, Mongkok. 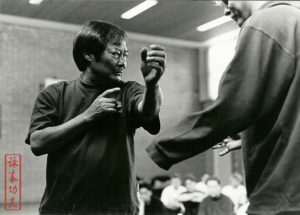 As Wong Shun Leung was totally engrossed with the study of Ving Tsun, he incessantly sought out training partners to practise with, eventually choosing people to teach and train with according to their body size and strength so as to provide himself with a greatest variety of partners possible. Because his primary goal wasn’t to teach, or to make a living from his training, Wong chose his students very seriously and as Wu Chun Nam recalls, many people of various backgrounds found their way to Wong Shun Leung’s door at that time, becoming his students, such as Yeung Yi Choi, Lo Min, Chang Yip Kau, Lau Man Kwong, Cheung Chan Ching, Wan Kam Leung, and so on. While the relationship between Wong and these people was largely that of a teacher and his students, Wong wouldn’t allow them to refer to him as sifu, preferring that they simply call him Leung Goh (“Big Brother Leung”), which was appropriate as their ages were all quite similar, and Wong also invited several of Ip Man’s students to train at his home, such as (Henry) Pang Kam Fat, Wong Tsok, Chan Chi Man, (Andrew) Ma Hang Lam, and others, so it was inappropriate for Wong to be addressed as sifu.